CARFAX 1-Owner. SLATE METALLIC exterior and STEEL GRAY interior, L trim. EPA 36 MPG Hwy/27 MPG City! Bluetooth. CLICK NOW! Bluetooth. MP3 Player, iPod Input, Remote Trunk Release, Child Safety Locks, Steering Wheel Controls. Toyota L with SLATE METALLIC exterior and STEEL GRAY interior features a 4 Cylinder Engine with 132 HP at 6000 RPM*. This Vehicle Was Serviced Here, It Is A Local Trade, We Did A 182 Multi-Point Inspection. iPod/MP3 Input, CD Player MP3 Player, Remote Trunk Release, Keyless Entry, Steering Wheel Controls, Child Safety Locks. Toyota LE with Classic Silver Metallic exterior and Ash interior features a 4 Cylinder Engine with 132 HP at 6000 RPM*. Service Records Available, Call To Set Up Your Test Drive (859)779-1000. 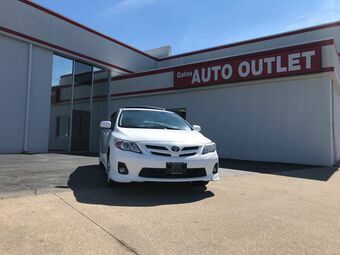 Serviced Here, Local Trade, We Did A 182 Multi-Point Inspection, Service Records Available, Call To Set Up Your Test Drive (859)779-1000.
iPod/MP3 Input, CD Player MP3 Player, Keyless Entry, Remote Trunk Release, Steering Wheel Controls, Child Safety Locks.